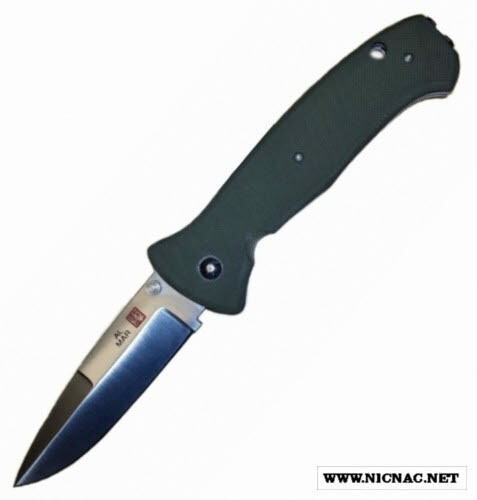 Al Mar's SERE 2000 is a strong tactical folder and delivers the kind of performance you need in the real world. Originally designed by Al Mar and Colonel Nick Rowe in the early 1980’s for the U.S. Army’s SERE school, today’s updated model is stronger, lighter and is a more precise version that Al Mar has ever made. The SERE 2000 features pillar construction, flow through design, liner lock, dual thumb studs and a reversible deep pocket clip.